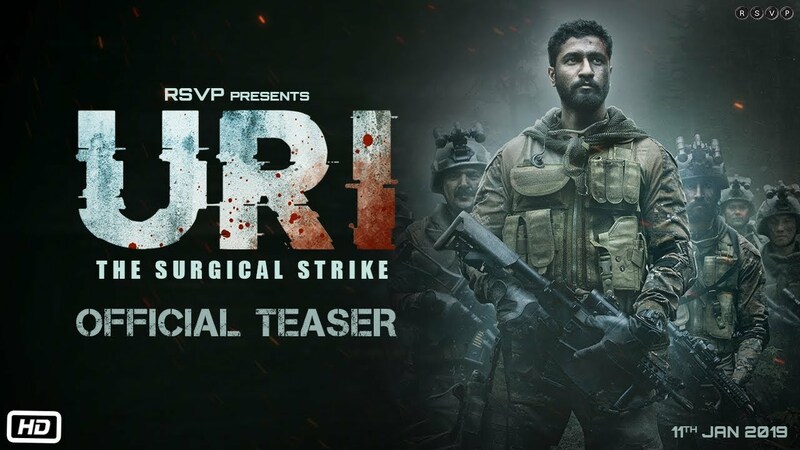 Story: The film is based on the surgical strikes conducted in 2016 by the Indian Army, against militant launch pads in Pakistan occupied Kashmir (PoK). 35-50 terrorists were reportedly killed in the covert operation, in retaliation to the terrorist attack in Uri that killed 19 Indian soldiers. Subsequently, Pakistan denied the incident. Review: Aditya Dhar’s unforgiving war drama incorporates the events that led to the surgical strikes as seen through the eyes of protagonist Major Vihaan Singh Shergill (Vicky Kaushal). To make things harder for him, he has personal battles to fight at home as well. First things first, Vicky Kaushal is on a roll. Interestingly, after playing a valiant Pakistani Army officer in Raazi, here he switches sides and plays an invincible Para (Special Forces) Commando, Indian Army. Justifying the hype around him, the actor continues to grow from strength to strength. His sincere and effortless presence adds depth to this film, that otherwise lacks the palpable tension you expect from a war drama. What makes it then engaging is not its execution, but the audacity of the mission it dramatically decodes and recreates. Despite knowing the result, you watch the events unfold with childlike intrigue as the complex operation plan was classified. The rigorous process — how 80 Indian Para SF commandos managed to infiltrate PoK and destroy the terror camps, makes for an instructive watch if not gripping. The film scores higher on the technical front than creative. The combat sequences, ambush, gunfire, fistfights, sniper shots are realistically shot. The camera tactfully follows the soldiers like a shadow. Sound effects are crucial to combat film storytelling, and this war drama uses it effectively for most parts. The sounds of weapons and bullets are captured well but some unnecessary sounds (loud whispers, noisy footsteps) beat the very purpose of a covert mission. Though based on true events, a lot seems far-fetched and thus, questionable. One can overlook a few creative liberties, but there is deliberate and dramatic attempt to evoke emotions in the first half. While there is no harm in doing so, the emotional manipulation could have been more subtle and less predictable. Yami Gautam, Mohit Raina, Paresh Rawal and Kirti Kulhari are effective in their respective roles. The soldiers give up their today for our tomorrow and no words can signify or repay the sacrifices they make for our country. Uri puts a spotlight on the thankless job they do with passion in their hearts and fire in their bellies. The film is a fitting tribute to the Indian Army conceptually but cinematically, it’s not a film without flaws.